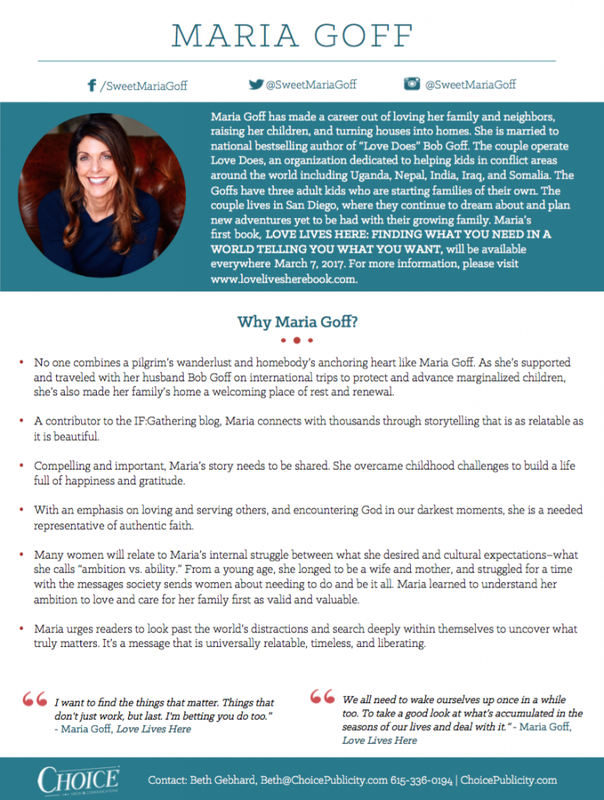 Maria Goff has made a career out of loving her family and neighbors, raising her children, and turning houses into homes. 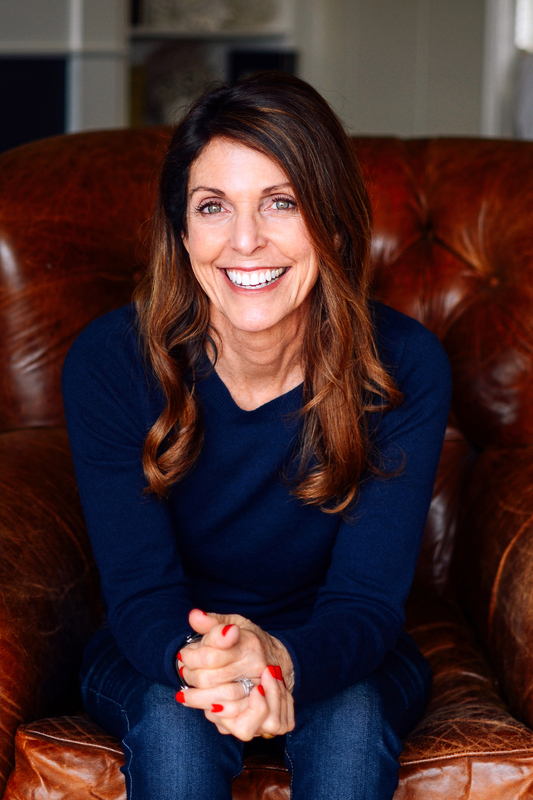 She is married to Bob Goff, whom she calls the most helpful and interesting man in the world. They’ve journeyed to Uganda and Northern Iraq to start schools for kids who are marginalized. They have three adult kids, who are starting families of their own. They live in San Diego where she and Bob continue to dream about fun and adventures yet to be had with their growing family. 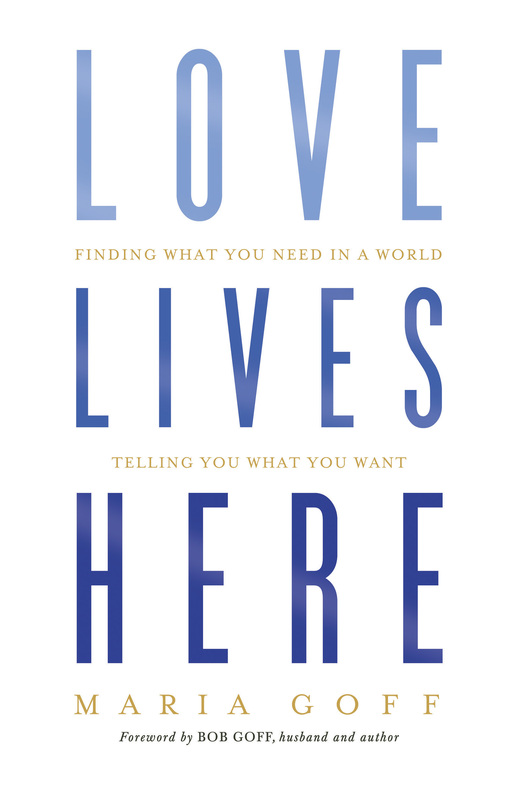 Maria’s first book, Love Lives Here: Finding What You Need in a World Telling You What You Want, releases March 7, 2017. 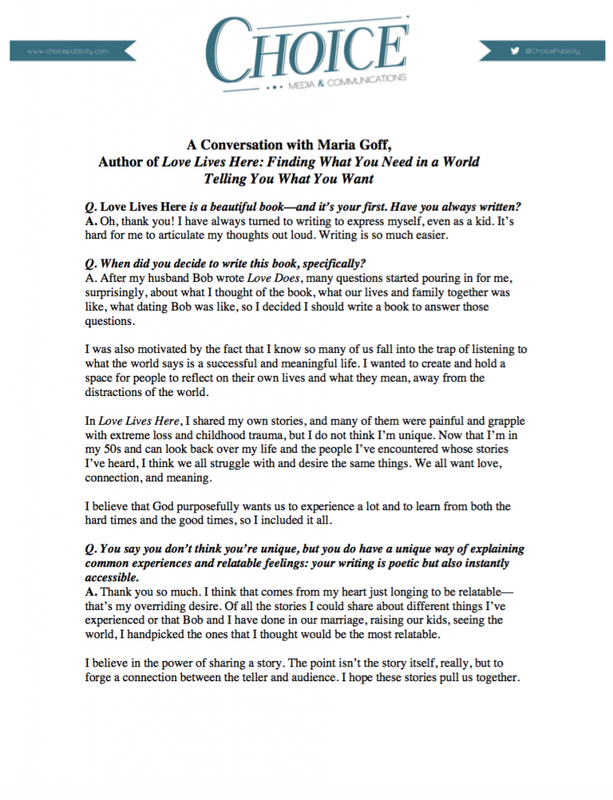 Fans of bestselling author Bob Goff will recognize Maria Goff as “Sweet Maria” from the pages of Love Does. 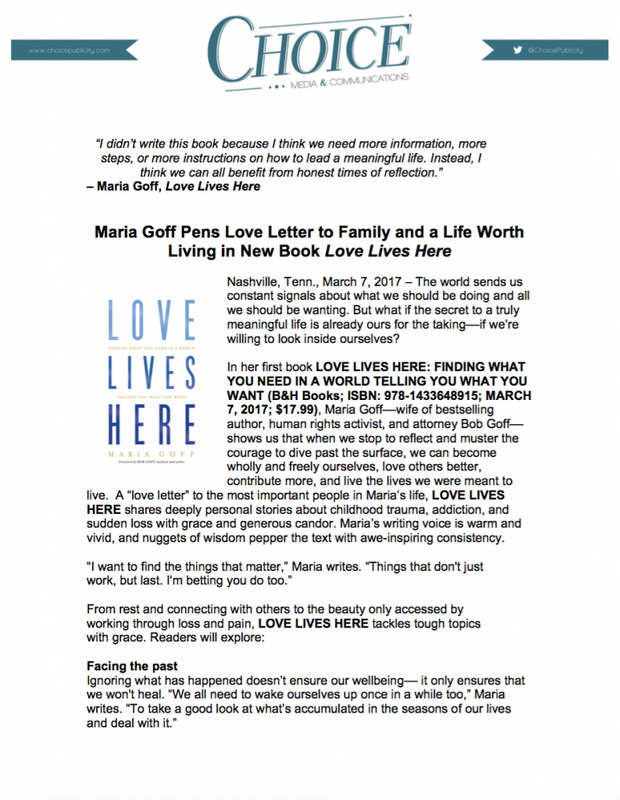 Just as Bob’s bestselling book shared stories of love in action, Maria’s Love Lives Here features stories of living with intentionality, passion, purpose and “just a little bit of planning.” For more information, please visit LoveLivesHereBook.com.